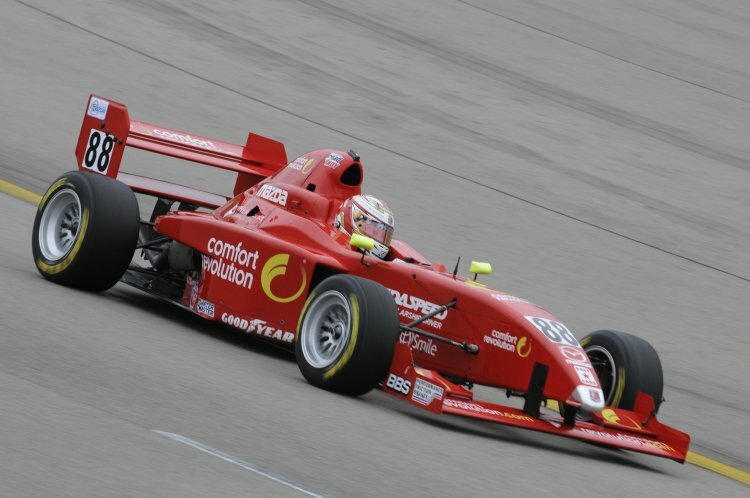 JANUARY 23RD, 2012 (ST. LOUIS, MO) 16 year old Sage Karam placed 5th in points during his debut touring season with the Star Mazda Series. The Comfort Revolution driver also claimed the Rookie of the Year award. Karam a resident of Nazareth, PA recently signed with Andretti Autosport to compete for the Star Mazda championship title in 2012. Sage Karam is happy to announce a continued partnership with Walters Web Design and together we are pleased to release the Star Mazda Series driver website design. Please log on at http://www.SageKaram.com to browse the new website. Please check back to the new driver website regularly for new announcements pre 2012 season. The team will be updating the website regularly with news, photos, videos and results. Motorsports design team http://www.WaltersWebDesign.com the manufacturer of this new website is excited to announce the continued partnership with Sage Karam Racing and we look forward to working with the series far into the future. Sage Karam and Andretti Autosport would like to thank their current sponsors. These include; Comfort Revolution, The Michael Fux Foundation, iexpect Brand, Artrotondo, Sparco, Bell, Orwig Townhouse Apartments, SmitHahn Company and Walters Web Design. To learn more about sponsorship opportunities with Sage Karam Racing and Andretti Autosport, please visit the new driver website for contact information. They would be happy to go in to detail with you about how motorsports marketing can help to grow your business. Follow Sage Karam on twitter at http://www.twitter.com/SageKaram88 . For more information on motorsports design team Walters Web Design please visit us online at http://www.WaltersWebDesign.com . To receive the latest race team news, photos, videos, results, website and graphic releases please follow us on twitter athttp://www.twitter.com/WaltersWeb and we are also on facebook at http://www.facebook.com/WaltersWebDesign . You can follow the latest news, results and media on the new Sage Karam Racing website http://www.SageKaram.com . Sage Karam is a talented young American racing driver launching a career in competitive open wheel racing through INDYCAR’s Mazda Road to Indy development program. As the winner of the 2010 Cooper Tires Presents the USF2000 National Championship Powered by Mazda with Andretti Autosport, he moved on to compete in the 2011 Star Mazda Championship Presented by Goodyear and secured seven top-five finishes, including three podiums and two wins, to earn the Rookie of the Year title. He has previously competed in various karting series, eventually becoming a 35-time World Karting Association and IRL Stars of Karting National champion. At the age of 13, Karam was the youngest driver to win the annual Skip Barber Karting Scholarship Shoot-out. In addition, he was the only American driver to compete in both a national karting championship and an open-wheel professional series fulltime in 2009. For more information, visit www.SageKaram.com and follow Sage on Twitter twitter.com/SageKaram88. Founded in 2004, Walters Web Design specializes in motorsports website development and graphic design. We use advertising and social marketing to help facilitate visitors and potential customers to all our client websites. “We take pride in all of our customer websites and we want each design to be better than our last. We feel this is what has put us above all the rest in our industry.” Walters Web Design is pleased to partner with ‘Sage Karam Racing’ for the sixth year and we look forward to working with them far into the future.